An F1 driver escaped serious injury and perhaps even death thanks to a new device added to cars this season. An F1 driver escaped serious injury and perhaps even death thanks to a new device added to cars this season, an official investigation found. 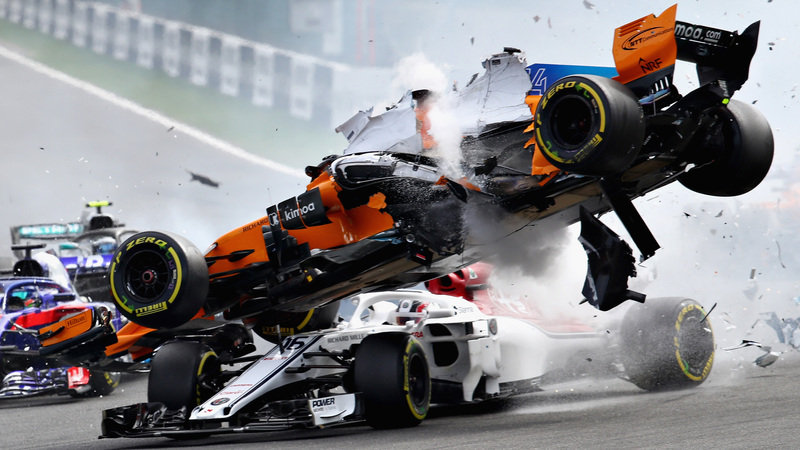 Charles LeClerc was miraculously uninjured when Fernando Alonso’s car went flying straight at his head at the Belgian Grand Prix in August. 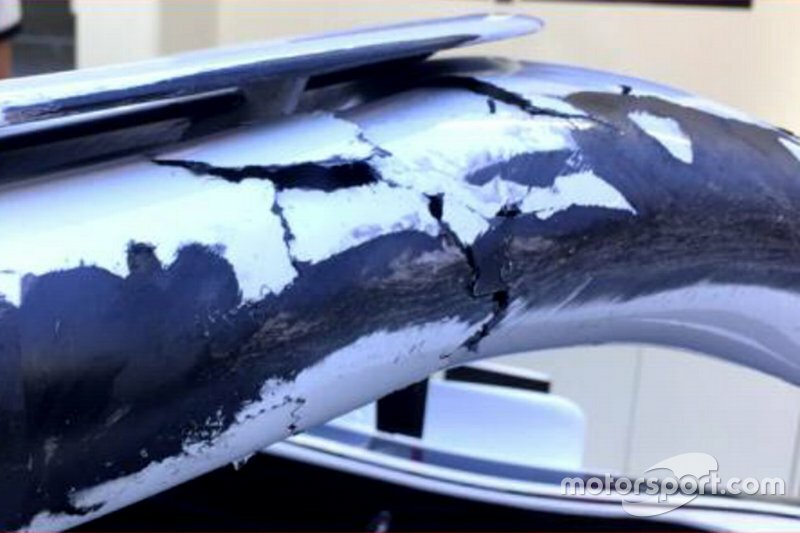 The protective cockpit halo, a new addition for the 2018 season, bore the brunt of the impact and was all chewed up in the aftermath. F1 then commissioned an official investigation to determine just how big a role the halo played in sparing LeClerc. The investigation was conducted by the FIA Global Institute, which is run by F1’s governing body. The findings are full of science terms but make it clear that the halo saved LeClerc from serious injury, at the very least. The most important conclusion is that the wheel of Alonso’s vechicle struck LeClerc’s halo with 58 kilonewtons of force. That was 46% of the force that the halo is designed to withstand, but was still enough to crack the halo in places. Had the wheel struck LeClerc’s unprotected head, he would have suffered at least a very serious head or neck injury. LeClerc, like many drivers, was actually opposed to the halo when it was first instituted. What’s with all these new football leagues? • Nov. 28: The Alliance of American Football holds its quarterback draft. • Dec. 5: The revived XFL announces its host cities. • Dec. 6: Ricky Williams and Terrell Owens announce plans for the Freedom Football League. Are we really going to go from one pro football league to four pro football leagues in the next couple of years? What makes these new leagues think they won’t end up like the UFL? At best they’re going to feature a quality of play on par with mid-major college teams, and without the college ties that attract fans. There has been an explosion in long plays in the NFL this year. ... Blake Griffin is turning into a well-rounded superstar. ... The Paul Goldschmidt trade shows that MLB teams are either all in or all out. ... Zac and Press Taylor could be the next Jon and Jay Gruden or John and Jim Harbaugh. The New York Times takes a look at superstitions in NFL locker rooms. ... Tua Tagavailoa is recovering from a minor ankle surgery, so he’s traveling by private plane to the Heisman ceremony. ... LeBron reportedly wants Carmelo Anthony to join the Lakers. ... The Mets’ GM, who was previously Tim Tebow’s agent and is definitely not biased at all, thinks Tebow is very close to playing in the majors. ... Former MLB players Luis Valbuena and Jose Castillo were killed in a car crash in the Dominican Republic. 99 yards for Derrick Henry! Hawaiian seals keep getting eels stuck up their noses. ... 24 Amazon employees were hospitalized after a robot punctured a can of bear spray in a warehouse. ... Kelloggs is making beer out of rejected corn flakes to reduce waste. In English: A guy coughed up a blood clot shaped like the right side of his lung. Doctors don’t know how it came out in one piece.